Not ones to shy away from such daunting questions is the reason to publish this article on our competition. Knowing that there is not a one size fits all in the intermodal market, the transparency arms our buyers with data points to assist in their journey in finding the best possible fit for their business requirements. Coming up with the top 5 intermodal transportation services providers is fairly easy since they account for well over half the market share. This fact makes the intermodal market significantly different than truckload, where there are over 600,000 for-hire-carriers and 97% operate with fewer than 20 trucks. 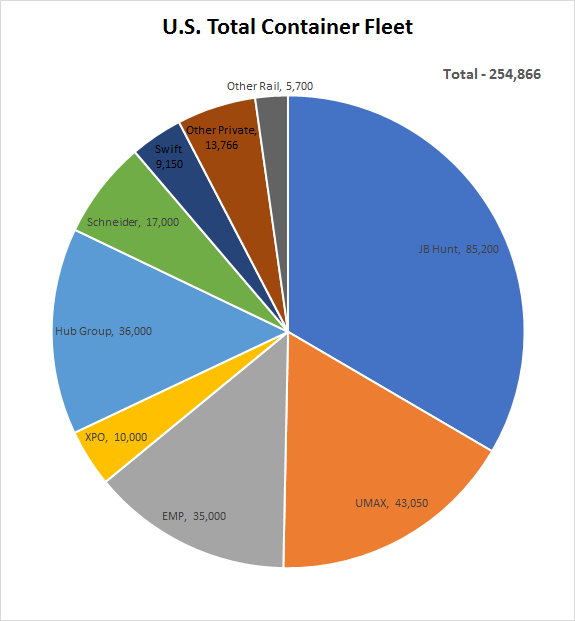 While we share these facts though, the balance of intermodal capacity outside the top 5 can be confusing for those shippers not familiar with the domestic intermodal marketplace. So, before jumping into the top 5 listing, we want to have a quick sidebar conversation on the types of intermodal providers and touch on a few additional resources to help to help buyers. There are two types of intermodal transportation companies, better known within the industry as intermodal marketing companies or IMC’s are bi-modal and non-asset. Both IMC’s work directly with the Class I railroads for their rail “line haul” intermodal capacity on the rail, but they differ on ownership of the 53’ containers and how they provide dray service. 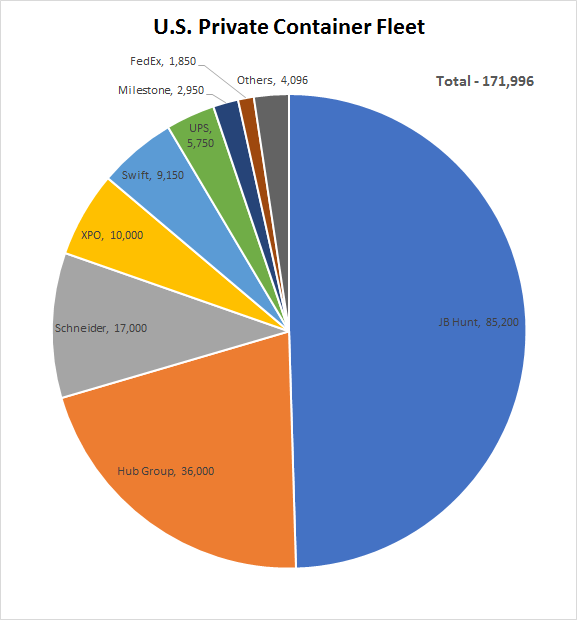 The major difference is a bi-modal IMC owns the boxes they use for their shippers, while the non-asset providers tap into the containers owned by the railroads and other private box owners. Bi-modal providers tend to own the vast majority of their dray capacity, while “as a rule of thumb” non-asset IMC tap into other dray providers to complete their service. What is an Intermodal Marketing Company(IMC) and What is Their Value? 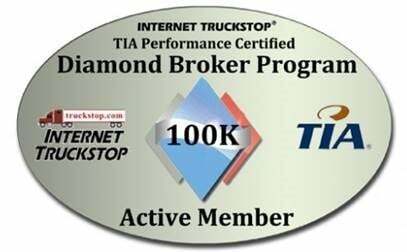 Unlike truckload, there is no intermodal transportation provider that owns 100% of the assets throughout the shipment process. All IMC’s depend on a portion of their services to come through other providers. Freight brokers do provide intermodal service but understand that they are tapping into capacity through a bi-modal or non-asset IMC, so there is an additional margin the shipper is paying for the convenience. The below charts illustrates the total box ownership at both a private and public basis. 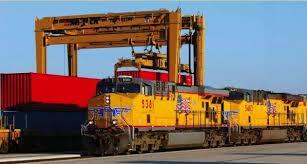 As you can see there are an additional 82,870 containers that are provided by the Class I railroads. 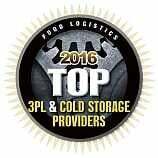 Much of this capacity is tapped through companies like InTek Freight & Logistics, although not often discussed. 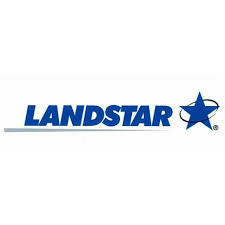 Keep in mind that there are significant non-asset or asset-light IMC, such as SunteckTTS, Re-Trans, Landstar, Alliance Shippers, NFI, Matson and CR England that shippers use and are outside of the top 5 listed above. Each of these companies are roughly $1.0 billion to $4.0 billion in revenue. So, now that you are armed with the basic information on the top intermodal transportation providers in the market, consider the services your business requires so you can make an objective decision on what provider will be the best fit for your supply chain. Is the IMC positively associated and engaged with industry leadership? Is the IMC engaged in educational or other support content publishings? 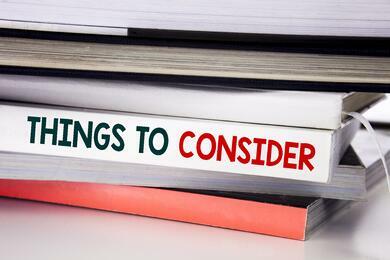 Consider whether your company will be a big fish in a small pond or a small fish in an ocean. Will the IMC be able to integrate into your business systems as required? Do they have the systems and processes internally to provide exceptional service, even when there is a failure to meet your service level requirements? With only nine North American Class I railroads, every IMC is riding on the same trains, so SERVICE IS the differentiating factor. The areas to look at on the service side includes: the personal interaction; control of dray activities; and the software platform for the execution of the loads and the delivery of information back to its clients. Does the IMC like to work with the large, high volume shippers or is their service more boutique-oriented for small to medium sized shippers. Both have their place in the market, but both do not fit the needs of all shippers all the time. 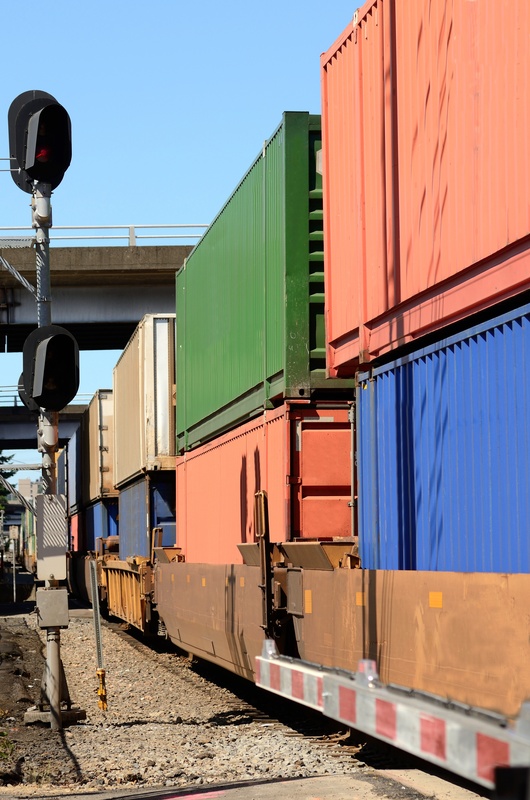 In many cases, high volume, also means the intermodal provider is looking to service certain markets to maximize their box turns while ignoring other intermodal lanes. While InTek Freight & Logistics is not one of the largest IMC’s, as your intermodal transportation provider we have the ability to tap into the total 53’ market capacity and the 20’ and 40’ capacity at competitive prices and a high level of service. 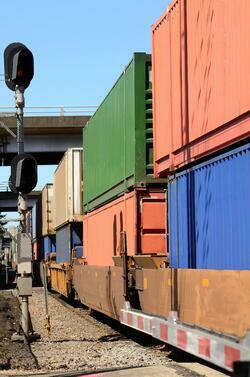 If new to intermodal, we would recommend downloading “The Ins & Outs of Intermodal – eBook”.